Are you an SME looking for support beyond finance to take your business to the next level? Do you wish to learn and implement best practices that will transform your business? As our client, you will have access to not only finance but also in-house business support to help your business grow and reach new heights of success. all of which will ultimately fast-track your business for growth and success. GroFin STEP, standing for “Success Through Effective Partnerships”, is what GroFin wants to achieve in working with you to overcome your business challenges and maximise business opportunities. 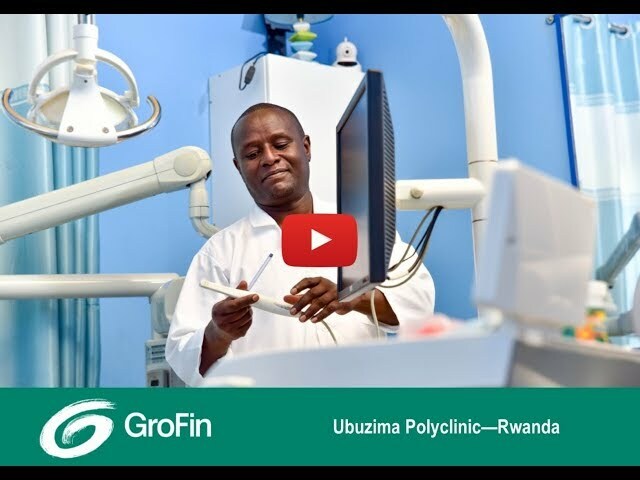 What are the areas in which GroFin supports you? As a first step, when you approach GroFin, we assist you to conduct an as-is assessment of your business, which forms the basis for a robust business plan outlining the risks and opportunities facing your business. After financing your business, we extend business support in areas of focus identified under such a business planning exercise. GroFin also extends support to help you develop functional expertise and implement best practices in areas such as finance, operations, HR and marketing. From monthly management accounting to streamlining operations; negotiating contracts with suppliers and customers, to HR planning; developing market linkages and designing marketing campaigns to promote brand awareness; our support extends across all major functions and organisational activities where you may require assistance. GroFin promotes ESG practices that can be fully integrated into your operations, generate economic value as well as mitigate any environmental risks, occupational health and safety hazards, and ensure compliance with local legislation and operational requirements. We assist you in areas such as formalising the business, developing a sound organisational structure, undertaking succession planning, mitigating environmental risks, equipping your business against occupational health and safety hazards, as well as complying with applicable rules and regulations. Depending on your requirements and the stage of our relationship, support of GroFin STEP may take the form of any of the professional services highlighted above. These are enabled by the GroFin STEP programme that have been developed in-house by our trusted business and investment professionals, based on our experience of helping 8,800+ entrepreneurs grow their businesses. The GroFin STEP programme goes hand-in-hand with the finance provided to you, to ensure that you can make the best use of the funds to scale up your business. As such, you will be provided with the services of a dedicated Investment Manager who understands the top 10 reasons why businesses tend to fail during their first five years in operation – and will help your business to counter these challenges and embark on long-term growth. Our Investment Managers are certified by the Association of Accredited Small Business Consultants (AASBC), which provides the only industry accreditation for small business consultants. We work with you to develop implementable Business Support Action Plans, both before and after financing your business, highlighting areas where support is needed and identifying the steps and timelines for delivering such support. In addition, GroFin partners with several accredited Technical Assistance providers such as PUM, SafeCare, Cherie Blair Foundation, and VV Grow, among others. Through GroFin STEP, the services of these global experts will also be available to your business to develop in-house capacity. How do we maximise the benefit of our support to your business? Your GroFin Investment Manager is both financier and mentor to your business. Your Investment Manager acts as a single point of contact for business support, offering you with hands-on mentorship and a sounding board where you have a short-term orientation or lack an independent, neutral perspective on your business. We connect you with industry stakeholders, where possible, to provide the benefits of synergy to your business. To ensure best-in-class technical assistance, we refer you to our local service providers or experts for Accounting services, Legal services, Technical/Operational Advice, Expert Sales and Marketing Consultancy, and IT Services. We bring to you the services of our in-house industry experts in specific sectors to support your business based on their many years of experience and in-depth knowledge of these industries – covering education, healthcare, manufacturing, retail, food and beverages, transportation, construction, accommodation, fuel retail, administrative and support services, mining and quarrying, among others. We conduct quarterly checks on your business, which allow us to detect any areas that require attention and help you address them in a timely and efficient manner. support is also rendered by our in-house industry experts who offer in-depth experience and knowledge of vital industries including education, healthcare, agribusiness, manufacturing, retail, food & beverages, transportation, construction, accommodation, fuel retail, administrative & support services, and mining & quarrying. Are you seeking to reach new heights of success by enhancing your management expertise, knowledge & skills? GroFin’s finance and business support work hand-in-hand to help your business develop capacity, thus improving its turnover and profits. GroFin STEP also helps you enhance your management skills towards developing growth strategies as well as managing and mitigating risks. This makes your business more viable and competitive, allowing you to make a mark in your community through job creation and improvement in the livelihoods of those around you. The GroFin South Africa team identified areas of assistance on the occupational health and safety (OH&S), succession planning as well as administrative front. Interested to know more about GroFin's value-added support?